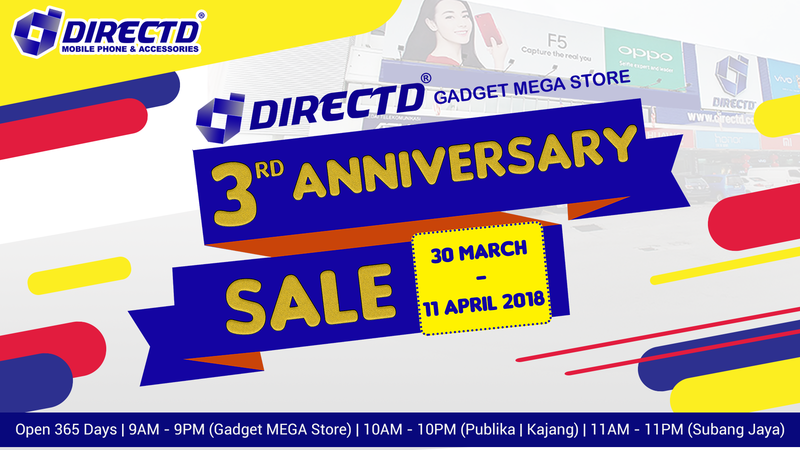 DirectD Gadget MEGA Store 3rd Anniversary Sale has return! 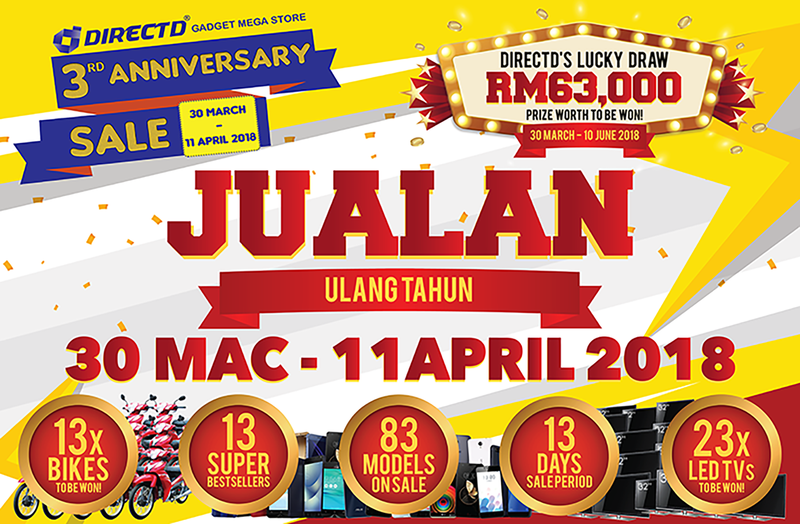 Venue: All DirectD Outlets (Subang | PJ | KL | Kajang), DirectD Official Online Store, DirectD's Lelong and Mudah store! 1. The lucky draw contest is valid for purchases between 30 March - 10 June 2018 only.